Calendar for Payroll dates is an important component of an efficient payroll service. Efficient payroll services depend on attention to detail. 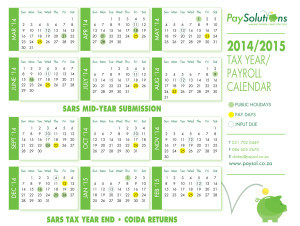 The 2014 Calendar highlights a payroll diary which has a number of important dates to adhere to. 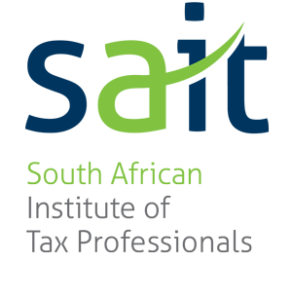 The Payroll Year runs as per the SARS Tax Year that is 1 March to end of February each year. 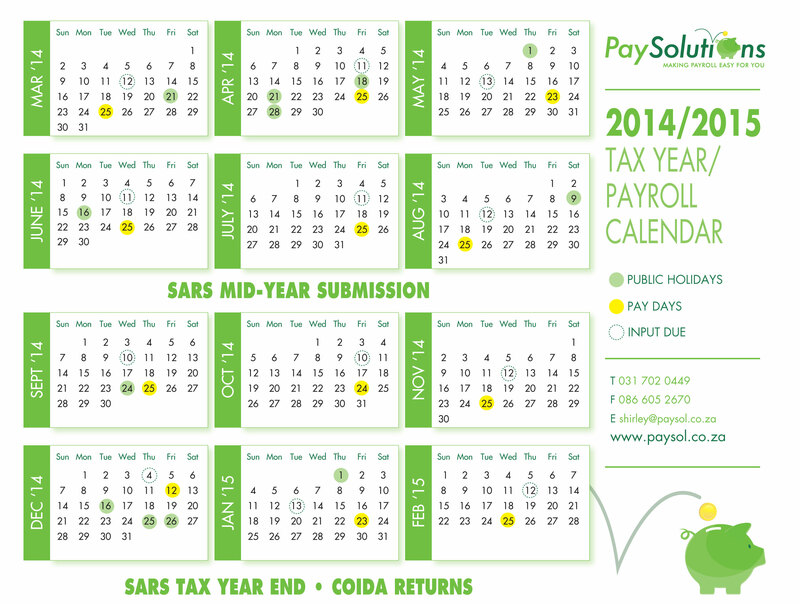 Our Payroll calendar is for this Tax Year 1 March 2014 to 28th February 2015. A weekly wage payroll year can vary depending on the number of pay periods in the year. Either 52 or 53 pay periods. 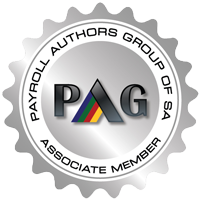 A Fortnightly payroll year can have either 26 or 27 pay periods. The weekly and Fortnightly payrolls often do not start on the 1st of March; the start of the payroll year could be the last period of February or sometime into the 1st week of the new Tax Year. The calendar featured in this article is for a monthly payroll. Should you require a calendar for a weekly or fortnightly payroll, please contact us and we will be happy to furnish you with one.